Helps in exfoliate dry dead skin on your lips. 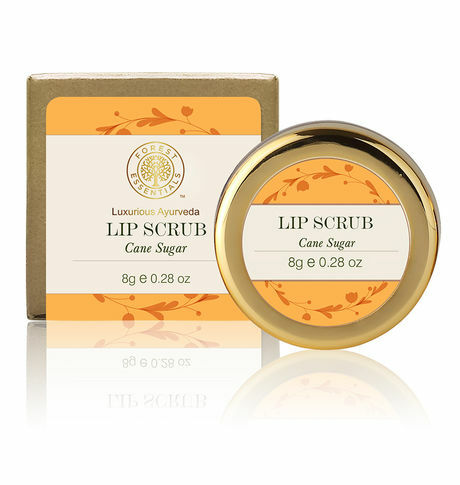 Our lip scrub, with sugar cane juice, sugar crystals and beeswax, is used to gently exfoliate dry dead skin on your lips and prepare them for a nourishing butter lip balm. Our exfoliating Lip Treatment Scrubs are unique products designed to prepare lips for lip balm or lipstick. Enriched with highly nutritive natural butters, organic raw honey, flower and fruit juices, this balm gently heals and hydrates the lips. Due to its extraordinary moisturising and hydrating properties, it seals in moisture and soothes dry lips, leaving them soft and glossy.